For everyone who has signed up to run for Forever Manchester at the Manchester 10k Run on Sunday 20th May, we’d like say a huge thank you. All runners should start receiving their running packs sent directly from the Great Run. This includes your race number, running chip, start time (indicated by the appropriate wave you have been allocated) and key information about the run itself. If you have not received your pack by Monday 14th May, please email us at marketing@forevermanchester.com and we will follow this up on your behalf. The Forever Manchester breathable, moisture-wicking Run T-shirts are being sent out from Wednesday 9th May, to be received in time for the big day. 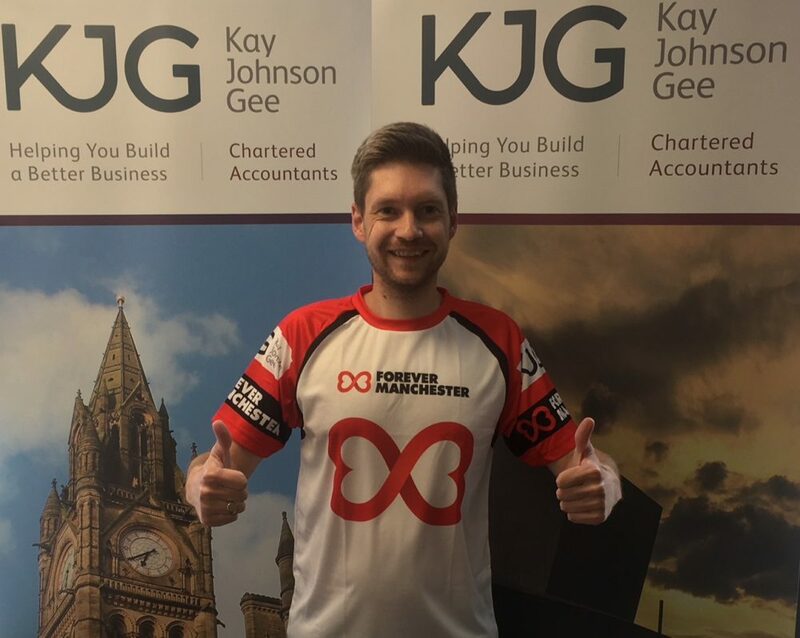 The Forever Manchester Running T-shirts have been kindly paid for and sponsored by Kay Johnson Gee, who are a multi-award winning chartered accounts and business advisors, providing expert advice in taxation, corporate finance, audit, accounts, payroll and insolvency. Kay Johnson Gee have agreed to host a meeting place in the car park of their offices (pictured below) between 12.30pm and 3pm on day of the 10k run, for friends, family and colleagues to gather to cheer the runners on. 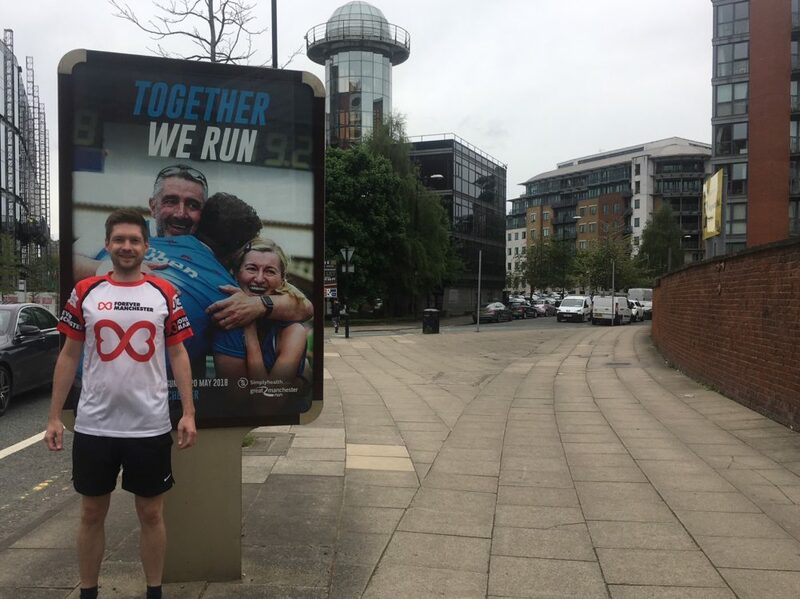 The run passes by their office at 1 City Road East, Manchester, M15 4PN, which is ideally located near the start line and a short walk to the finish line. As the 115 Forever Manchester runners, will be starting the run at various time, we will not be arranging a formal meet up for the runners before or after the run, but if you are planning to meet up with fellow runners before-hand please take a few photos and post them on twitter, and include @4EVERManchester and #FM10K. Likewise please share with us any photos and information about your preparation for the run, and links to your JustGiving pages so we can share with our 20,000 followers. If you have not done already, you can set up a JustGiving page, and by selecting Forever Manchester as your charity of choice, all the money raised will come directly to Forever Manchester. To help populate your Just Giving Page you can find key information about what Forever Manchester does on our About Us page of this website. If you are raising money off-line, please download a sponsorship form. You can pay in any money raised via www.forevermanchester.com/pay-in-money-raised-from-your-fundraiser. Encourage your friends and family to sponsor you. To help this check where your money will be going. For all the information on the day itself, please visit the Great Run website. The 10k starts at 13.07 with the Elite Men & Fast Paced Club Runners and Orange Wave start. This is followed by the White Wave (13.25), Purple & Blue Wave (13.55), Green Wave (14.40) and Pink Wave (15.00). Use the hashtag #FM10K and tweet us @4evermanchester, Facebook us or get us on Instagram.